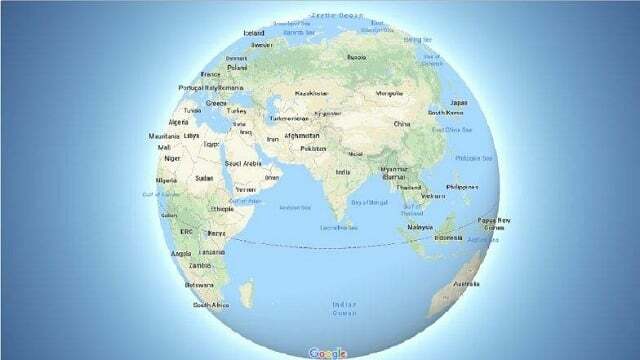 No the Earth is not flat, not even on Google Maps.Google is improving the way it shows the Earth in Maps to make the service more accurate than before. From now on, once it is zoomed out, the Earth will present itself as a globe, rather than a flat surface as it used to before.The move has been a long time coming, given how well-known the flaws of the Mercator projection (the most commonly used flat maps use this) are, which was also being used for Google Maps before.Google’s own twitter announcement revealed, in a tongue-in-cheek tone, the news with a caption with 3D Globe Mode on Google Maps desktop, Greenland’s projection is no longer the size of Africa. The reason why the Mercator projection is still used is that, apart from retaining the exact shapes of depicted countries, it retains the actual angles that are found point-to-point in real life. That’s kind of a big deal, especially when all explorers had while exploring the seas in the early days was a compass.Still, that doesn’t prevent Mercator from presenting an inflated view of the Earth in some places, in particular, Antarctica and Greenland, the latter of which appears equal to the size of Africa, when in reality it is 14 times smaller. Unfortunately, the update only seems to impact the Google Maps version as seen on desktop, with there being no apparent release date for mobile users. If not anything, the update will perhaps go some way to fix the misconceptions of flat-earthers.